Use the form below to Inquire More or Reserve Best Of Tanzania In Luxury. The ultimate Tanzania luxury safari starts in dazzling Katavi National Park, where elite travelers get a thrilling taste of true Africa. Here, lions, leopards and wild dogs stalk their prey, while hungry vultures share the trees with incredible fish eagles, storks and vervet monkeys. Fly to remote Mahale Mountain, home to the world’s largest known population of wild chimpanzees. Trek through magnificent forests to spend time watching the endangered chimps play, groom and possibly even hunt. Relax on the sandy shores of Lake Tanganyika, swim in crystal clear pools in mountain waterfalls or kayak along the pristine freshwater lake. Journey into the Serengeti and witness a pride of lions stalking across open plains in one of the greatest wildlife-watching destinations on earth. In the mighty Serengeti, herds of elephants number up to 450, and the Great Migration sees millions of wildebeest and zebras thundering across the plains. 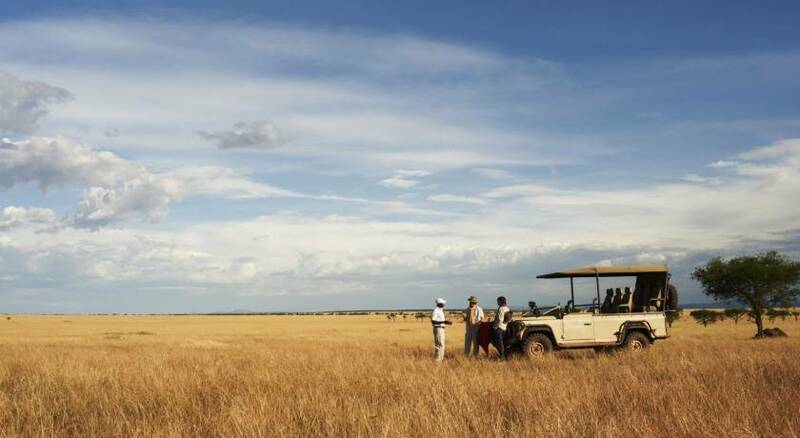 Enjoy daily game drives and fascinating bush walks with naturalist guides throughout your Tanzania journey. Arusha Coffee Lodge is a luxury boutique hotel built on an active coffee plantation in Tanzania. Lying on the green foothills that cascade down from the ever-present Mount Meru is the bustling town of Arusha. It is here on the outskirts of this town, hidden amongst one of Tanzania’s largest coffee plantations, that you will find Arusha Coffee Lodge, a perfect haven for relaxation either before or after any safari. Arusha Coffee Lodge has been designed around the original landowner’s home which dates back over one hundred years. Transfer to the airport with a private vehicle and guide. Relax during this charter flight departing Arusha, and arriving in Katavi, Tanzania. This flight will make multiple stops during the approximate 4 hour travel period. This afternoon you’ll head out on a game drive alongside a local expert guide aboard a 4×4 Safari-game vehicle. Your guide will take you the local wildlife hotspots, keeping in mind that the wildlife may be trying to avoid the scorching hot African sun. You’ll visit local water-holes and shady tree patches where a variety of resident big cats, migratory herds and colorful birdlife frequent. 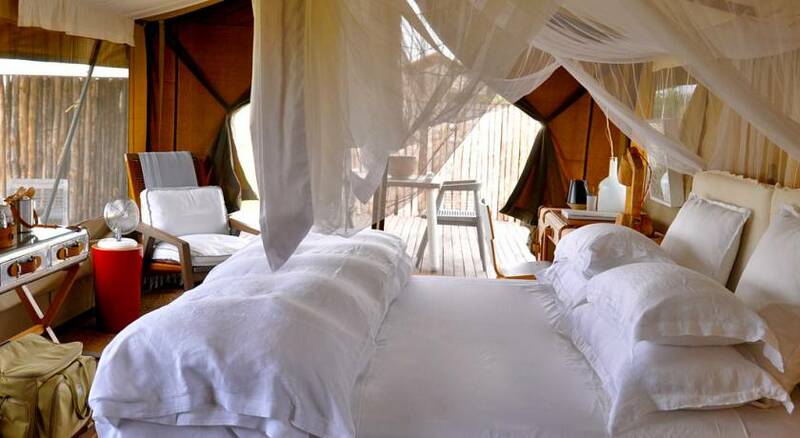 In the centre of Katavi National park lies Katuma, a charming Bush Lodge that offers a riveting bush experience with breathtaking views over the vast plains of Katisunga. Katuma Bush Lodge has been designed to blend in with its surroundings to avoid distraction from the beauty of Katavi. The 8 double bed tents and 2 twin bed tents are fitted under thatch roof on raised wooden decks with hardwood floors. The Tent’s private balconies allow for excellent views over the plains. Enjoy fresh and delicious breakfasts, lunches and dinners in the spacious dining facility. The brand new mess area consists of a comfortable guest lounge and a spectacular viewing and swimming pool deck. 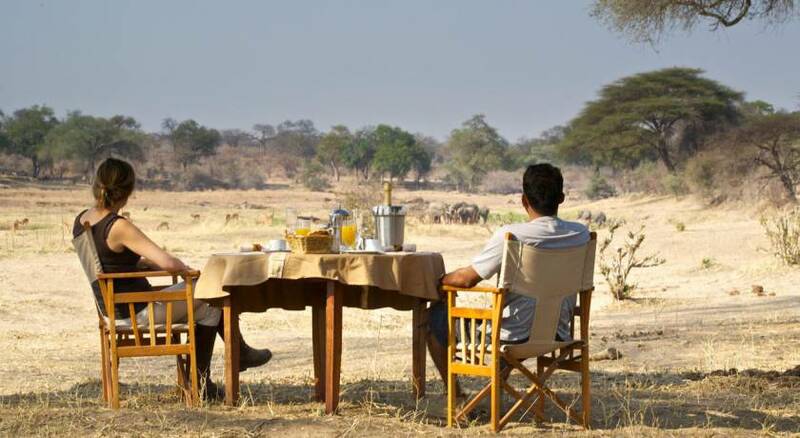 Other exciting activities available to guests include game drives in open-sided 4WD land cruisers and walking safaris. For guests wishing for something a little more low-key, books are provided should you wish to relax and read. Game drives in open 4 wheel drive vehicles; walking safaris & birding are including with your overnight rate at the Chada Katavi. This morning you’ll board your dedicated Safari vehicle, accompanied by your expert driver/guide for the day’s first game drive. Your guides knowledge of this area is utilized as they will take you to the locations which are most frequented by local wildlife. Keep your camera handy as you explore this beautiful African landscape to snap some photos of the elusive big cats, migratory herds, and colorful birdlife. 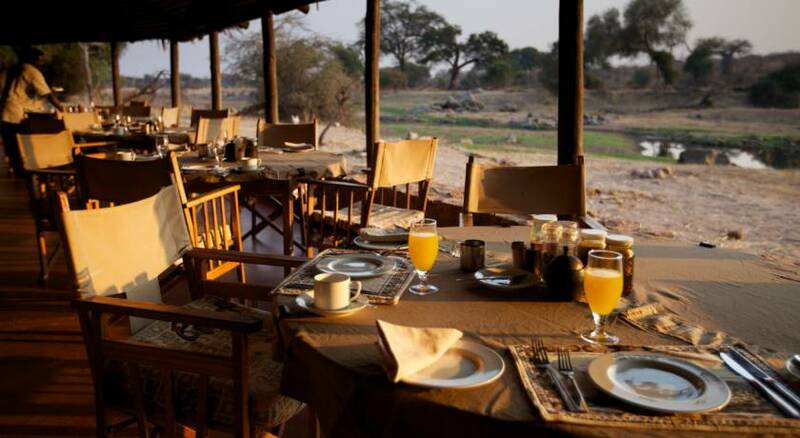 A variety of activities are made available for guests staying at the Katuma Bush Lodge. 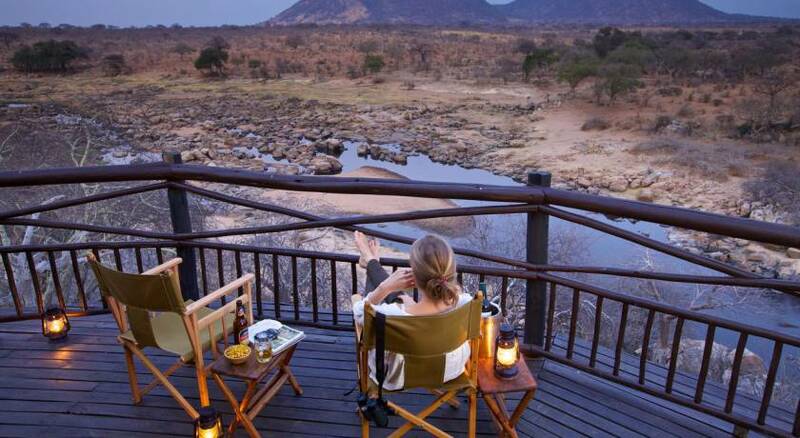 Game Viewing is exceptionally rewarding at Katavi due to the sheer abundance of wildlife. Game-drives tend to begin at dawn and again late in the afternoon. Game drives are done aboard 4X4 vehicles and centre around the woodland areas along the seasonal lakes, where most of the game can be found. For those who want to get even closer to nature, Walking Safaris can be done in the early mornings when the light is at it’s best. Relax during this charter flight departing Katavi, and arriving in Mahale, Tanzania. This flight may make multiple stops during the approximate 45 min travel period. Enjoy optional activities at your camp, including swimming in Lake Tanganika, snorkelling, kayaking, or relaxing on the beach. Other activities may be booked at the camp (not included in tour price) include fishing or a boat safari along the shore. Park fees included. A morning hike into the mountains to visit a chimpanzee family. There is only 1 chimp trek per full day, and time spent with the chimps is 1 hour only – but the trekking time is variable depending whether the chimps are close to camp or are up in the mountains. Most guests will see the chimps at least once but a sighting is not always guaranteed. Each group has a maximum of 6 people per group. Any guest showing symptoms of any contagious disease (viral or bacterial) will NOT be able to go into the forest in order to protect the health of the chimps. Please Note: The chimps come down off the mountain or cross the river in August & September. Please note that this can be a strenuous hike. Every priviledged guest staying at the marvelous Greystoke Mahale Camp is provided with a variety of activities to choose from. Guests can hike the forest paths looking for birds and butterflies, as well as the other shy mammals who quietly live here. Swim in ice-cold pools up in the mountain waterfalls, take a kayak out for a dawn paddle towards the middle of the lake. Go for sundowners on the old wooden dhow, lazily following the shoreline and stopping to fish along the way, or just relax on the warm sands of the beach with a drink in hand. Relax during this charter flight departing Mahale, and arriving in Arusha, Tanzania. This flight will make multiple stops during the approximate 6 hour travel period. Take your flight from Arusha (ARK) to Serengeti today with multiple stops along the way. The flight duration is approximately 2 hrs. Luggage restriction applicable to this flight: Y Class – Standard: 15kg (32lb) OR XL Class – Premium +: 30kg (64lb) per person, for both carry-on and checked luggage. Your checked luggage needs to be soft-sided – no wheels / no spine, a duffel bag is recommended. A small purse/backpack, is recommended as a carry-on, to keep your camera, passport, hat, sunblock or other items you need within easy reach. While at Singita, your luxurious all-suite accommodation, breakfast, lunch and dinner, teas and coffees are all included. Along with this, you’ll also enjoy two game drives per day in an open Land Rover, accompanied by an experienced game ranger. Other activities include mountain biking, walking, tennis and archery. Laundry and valet services are also included but subject to certain conditions and restrictions. Also included are all of your drinks while on the Land Rover safaris, including premium wines, spirits and liqueurs (excluding vintage champagne and vintage wines on the connoisseurs wine list). 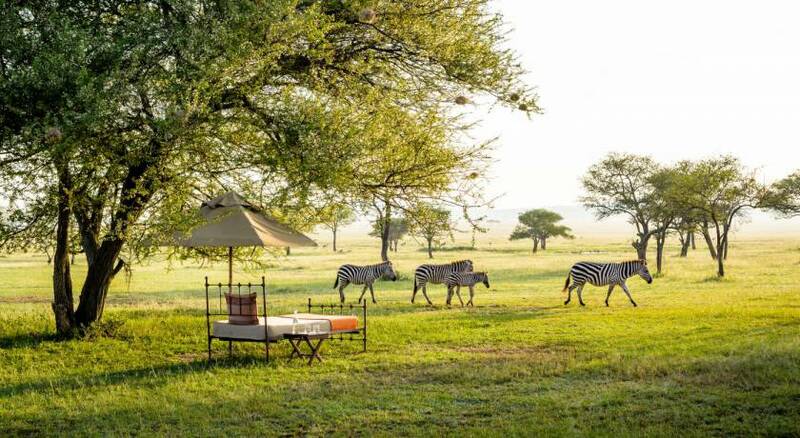 Singita Sabora Tented Camp is situated in an untouched wilderness area of Grumeti Reserves, spanning over 350,000 acres in northern Tanzania. The intimate 1920s-style explorer’s camp is permeated by a sense of nostalgic adventure. Steeped in character, Singita Sabora Tented Camp surprises guests with an opulence that is delightfully out-of-place with the rugged terrain of the surrounding savannah plains. Here, guests are immersed in the palpable pulse of the wild Serengeti, with the added thrill of knowing there isn’t much separating the comfort inside from the elements and wildlife outside. While at Singita, you’ll have access to a wide range of activities including daily game drives and walks with professional guides. Other activities include archery, lawn croquet, badminton, star-gazing safaris and mountain biking. There are tennis courts at Sabora Tented Camp and Sasakwa Lodge. Fully equipped gyms are available for guests’ convenience. Each facility provides picturesque views of the plains, allowing you to keep an eye on the action outside while you work out. Yoga and gym facilities are available at Sasakwa Lodge and Faru Faru, while guests at these properties can also enjoy horseback safaris. Or for something more relaxing, Singita Sasakwa Lodge offers an expansive swimming pool next to the main house in addition to private infinity pools at each cottage and at the private villa. Wireless internet access and satellite television at all three lodges. SINGITA BOUTIQUE & GALLERY – Not your regular curio shop, you will find original treasures that have been gathered from all corners of the African continent. A range of collectable sculptures, home-ware and furnishings will allow you to recreate ‘the safari dream’ within your own home. Artefacts, as well as authentic carvings and jewellery created by local craftsmen are just a few of the treasures you may find to take home as gifts. Amongst beautiful museum quality, fine-art prints and works by some of the most respected artists on the continent, there are many pieces especially designed for Singita. Here too you can find a range of quality branded Singita safari wear. We offer a worldwide shipping service so you may make your purchases at the lodges with the option to send them straight home. 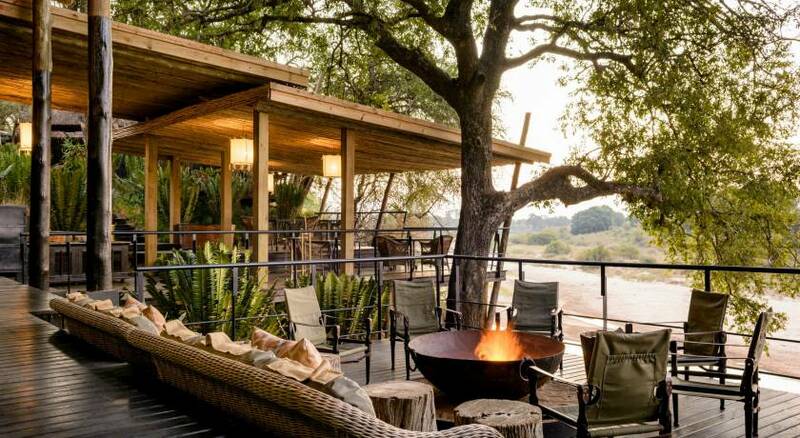 PREMIER WINE – As one of Africa’s most influential buyers of wine, Singita’s cellars are home to some of the most sought-after private reserves and vintage wines the continent has to offer. Whether you are a connoisseur or just enjoy the occasional glass of wine, our experienced sommeliers delight in introducing guests to a vast selection of varietals from all over the world. Through Singita Premier Wine Direct guests may purchase wines from our cellars: either to be taken home at the end of their trip or conveniently delivered to their door. As an addition to cellar purchases, we have secured allocations of highly limited, sought-after wines, including ‘Icons’, ‘Single Vineyard’ and ‘Limited Release’ wines, directly from leading wineries in South Africa. Stored in temperature-controlled cellars, these wines are unlikely to be available anywhere else. SPA – The Singita wellness philosophy takes personal rejuvenation to a level well beyond any pampering you’ve previously experienced. All of our peaceful lodge spas, where nature provides its own special calm, present the ultimate escape, sure to restore equilibrium and peace to body and mind. 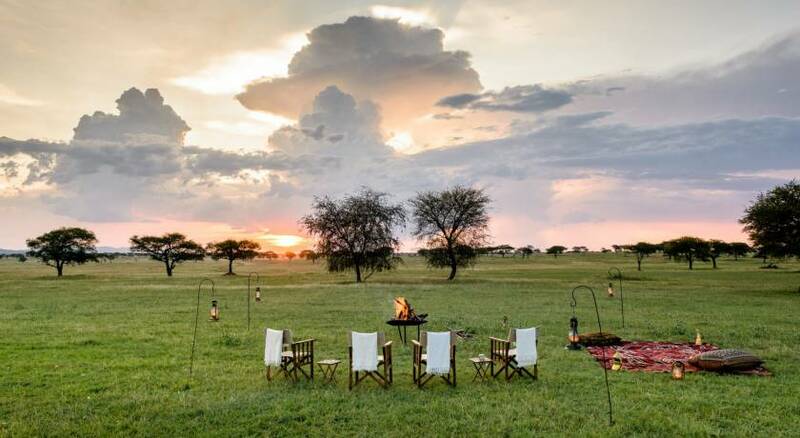 The untouched wilderness of Singita Grumeti Reserves is located in northern Tanzania and forms part of the Serengeti-Mara ecosystem, on the western corridor of the Serengeti National Park – Africa’s No. 1 World Heritage Site. The famous Great Migration, an annual trek of 2 million animals through the Serengeti-Mara ecosystem, bisects this reserve annually. Called “The Greatest Wildlife Show on Earth” it has, since time immemorial, been the dramatic backbone of this enormous wilderness. The successes of conservation as well as diverse habitats have ensured that, since its inception in 2003, Singita Grumeti Reserves has a well-established resident game population that inhabit the area throughout the year. In addition to the annual wildebeest migration, some notable highlights include large mixed herds of impala, zebra, topi, eland, Grant’s and Thomson’s gazelle. Good numbers of reedbuck, waterbuck, dik dik, klipspinger, oribi and Coke’s hartebeest are to be found and large breeding herds of buffalo, up to 400 strong, compliment the abundant small bachelor groups of bulls. Herds of elephants number up to 450 – concentrations seldom seen elsewhere in Africa. A representative from your lodge will pick you up and transfer you between the lodge and airstrip. Depending on time, they will fit in a quick game drive to/from the lodge. Take your flight from Serengeti to Arusha today. The flight will do more than one stop on the way. The flight duration is approximately 2 hours. Luggage restriction applicable to this flight: Standard Y Class – 15kg per person, Premium XL Class – 30kg per person for both carry-on and checked luggage. Your checked luggage needs to be soft-sided – no wheels / no spine, a duffel bag is recommended. A small purse/backpack, is recommended as a carry-on, to keep your camera, passport, hat, sunblock or other items you need within easy reach. You’ll enjoy an airport transfer between your Arusha hotel and Kilimanjaro International Airport with a private vehicle and English speaking driver.